Termite inspections is absolutely crucial for anyone that wants to remain in their home or business for any length of time. Without it, the damage can quickly become so severe that it takes drastic measures to save the structure. In a worst case scenario, saving the structure may not even be possible. Therefore, frequent inspections must be done in order to ensure that a great deal of damage has not already occurred. In addition, there is simply no way that you can know whether or not you have a termite problem until the structure is properly inspected. If you choose not to have it inspected, then you are gambling with the safety of the structure in which you and your family live. 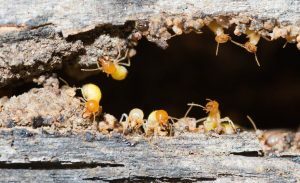 For complete white ants treatments, spider treatments or other termite treatment and termite protection in your area, it is essential that a reputable company be utilized on a routine basis. This gives homeowners the best chance of success. Only a professional can determine the best course of action and then put the proper methods in place to ensure that your termite problem does not get worse. Taking the necessary steps to control the issue helps you keep your house in good shape and also protects its resale value if you should ever decide to sell the property. Therefore, you should have your home inspected for pest control regularly and then take the proper steps to remedy the situation if they are found. Do you need us to get rid of a pests or rodent issue in Warrandyte? If the answer is yes, look no further, we are also here to get your pests gone already. They will never return either. Mr. Termite Solutions are the finest of all pest control services Warrandyte solutions. We will go in fighting, and out will go, the bugs or rodents we overthrow for you. Their nasty presence is nothing compared to, the nasty that we will do, in order to remove them and make them gone. Our brand of nasty is called total bug/rodent kill, and we do it, for all of our customers to get their homes and work spaces bug/rodent clean for good. M&R Termite solutions provide Pest control services , pest prevention around Melbourne and its surrounding suburbs. We can give you advice on pest control service, ant control, spider treatments and many more. 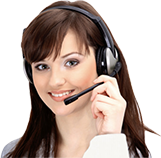 Just call our domestic pest control services for fast service.